It’s that time of year… Christmas wasn’t the Waitrose/Morrisons advert you’d been hoping for and the strains of spending the festive break in a flagging relationship have pushed you to seriously consider your options. You are not alone… according to a recent report in the Evening Standard, enquiries about divorce rise by 25% in January. The post-Christmas period leaves many people wondering: Is there anything left in this relationship for me? Will anything ever change? Do we still love each other? Is it over; should I leave? The first thing to recognise is these are two different questions. Deciding a relationship is over and deciding to leave are different things: leaving doesn’t always follow the decision that the relationship is over. You may experience the sensation of knowing it is over but feel paralysed to act or too frightened or guilty to contemplate life alone. There are many reasons people stay in unfulfilling relationships – for some it becomes a way of life they choose, either consciously or unconsciously, or feel trapped in because of confused loyalties or the mistaken belief its best for the kids. Being able to tell if a relationship has ‘irretrievably broken down’ versus ‘is going through a bad patch’ can be a difficult thing. Relationship breakdown is a process after-all – but not a linear one. It often involves a see-saw of feelings and emotions; attempts to leave and reconciliations. It can be tricky to know how you really feel or when you have passed the point of no return. Confusingly, it is quite usual for partners to disagree about when and if the point of no return has been passed. The decisions that a relationship is over and you want to leave can feel especially complicated if there are children involved. Add financial considerations, fear and emotion into the mix and decisions become overwhelming. If you find yourself at this point, then here is a process for trying to work through what probably feels like a tangled mess of contradictory feelings. A big decision like this requires dedicated time. Set aside time (and headspace) with no distractions (yep, I’m afraid you can’t do this type of thinking effectively in front of the TV or wedged into someone’s breath space on the train!) to contemplate what you want from a relationship and whether the one you are in has any real prospect of delivering it. Most people find this hard to do, so adding some simple structured questions can be useful. Try the two sets of questions below. The first are prompt questions to help you start thinking about the specifics of the relationship, the second set are questions you can answer alone or invite your partner to consider too. Does your partner fulfill your current needs? Do you know what needs you want fulfilled? Do you think your partner can ever fulfill your needs? How does it feel if you imagine life without your partner? After you argue or row, do you and your partner sort things out and resolve issues? How long have the issues you are most concerned about been a feature of your relationship? Are any of these “danger” traits present in your relationship: constant criticism, contempt (e.g. name calling), defensiveness (not listening), stonewalling (ignoring each other/sulking)? You might find it helpful to write answers down and then come back to them when you are in different states of mind or mood. What changes? When? I know it’s obvious, but be especially careful to keep these notes private. 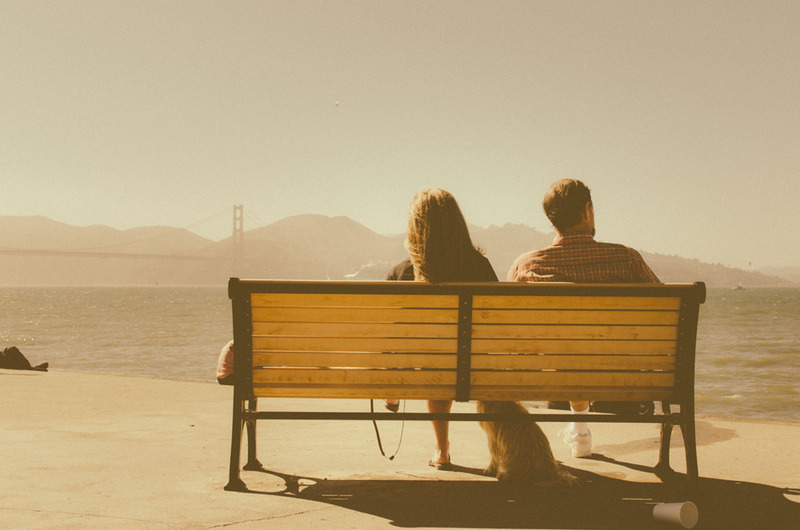 You can either discuss with your partner, or decide for yourself: Is change possible? Am I/are they motivated to change?